For anybody looking to create a website without hiring a web designer and web developer, the search for website builders is bound to throw up the name of GoDaddy. That’s expected; GoDaddy has been in the business since 1997, is accredited by the Better Business Bureau with the highest possible (A+) rating, and spends a lot on advertising! Television commercials, YouTube ads, pop ups – they are everywhere. GoDaddy is the world’s largest registrar of domains, manages 60 million domains, and has a base of 13 million users who choose paid GoDaddy services. For you, this information is important; so that you know you’re dealing with a market leader, and can expect cutting edge service and solutions. 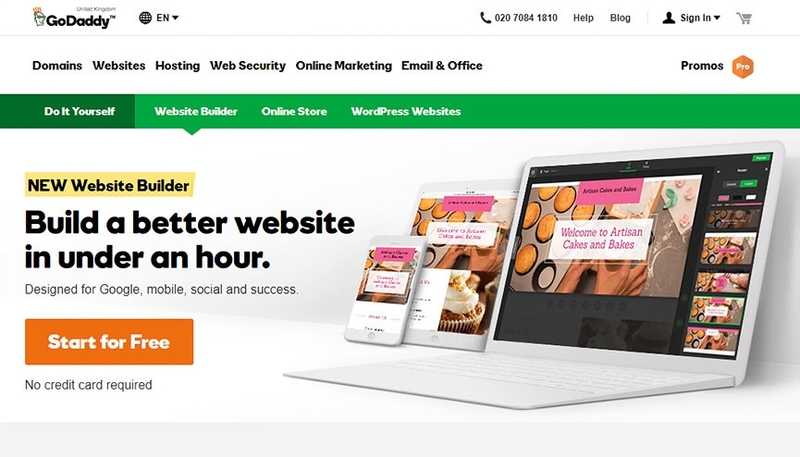 GoDaddy’s website builder, indeed, lets you create a good looking website quickly, with a decent set of features to enable you to do more. Here’s a quick snapshot of how GoDaddy’s website builder fares. GoDaddy is all about hassle free website creation. It offers more than 300 web design templates, pre populated with content, so that you can just replace existing content with your own, and get a website in less than one hour. The web design interface is drag and drop based, so customizations are quick, convenient, and interesting. Over the years, GoDaddy has established a stellar reputation for offering super responsive customer support. Pick up the phone, call them up, and you can expect to be talking to someone who will solve your problem, in 5-10 minutes. Another differentiating feature on offer is the backup and restore option, using which you can create a backup of your website, and restore in case you end up making changes that you regret and want to undo immediately. Of course, no website builder is 100% perfect. GoDaddy users face their share of hassles as well. 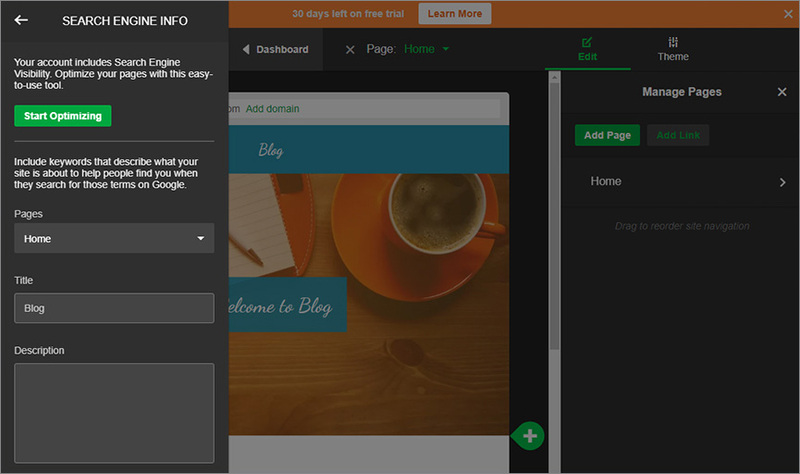 Firstly, GoDaddy doesn’t allow you to change your website’s theme while retaining your existing content. If you change the theme, you need to add the entire content again, which makes things very inflexible. 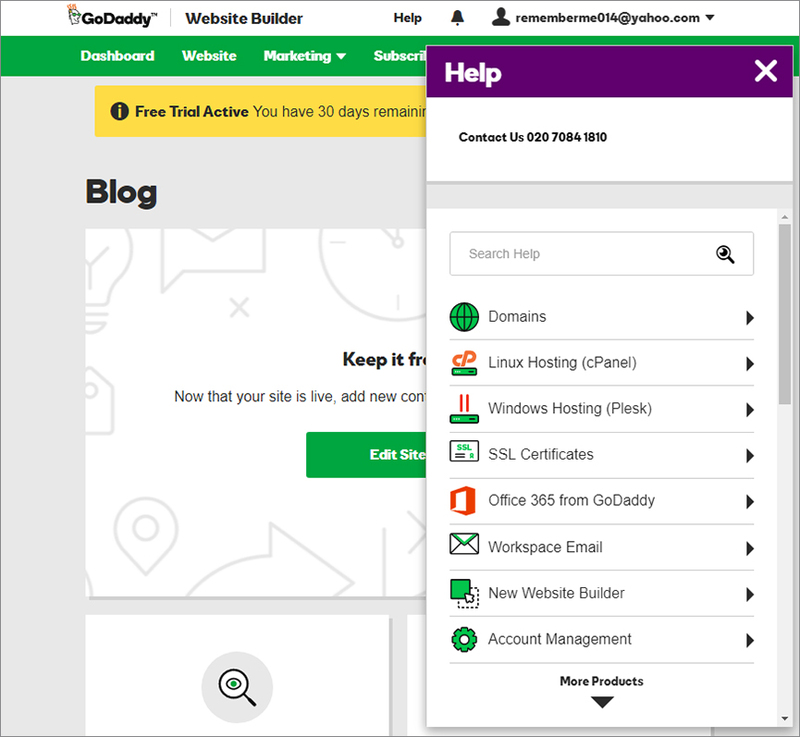 Secondly, GoDaddy’s website builder doesn’t come with ecommerce features, though there’s another ecommerce-specialized website builder on offer from GoDaddy. You can use HTML to insert buttons for Buy Now and integrate with services like PayPal, but that’s very limited in scope. Then, the mobile website ‘look’ is pretty bland. Though GoDaddy offers you the convenience of transforming your desktop website layout into a mobile friendly version, the results are not too great. Let’s explore GoDaddy features in more detail. 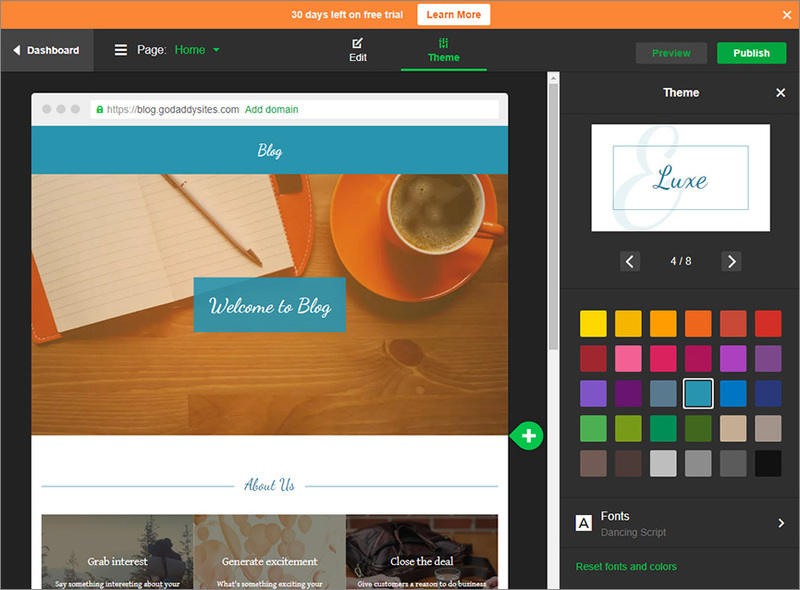 GoDaddy’s theme basket is massive, with some plans allowing you to choose from more than 300 themes. Templates spread across categories such as business, law, finance, music, entertainment, restaurant, food, animals, ecommerce, recreation, and more. All of these themes come with pre-loaded text and visual, so that you can just replace the existing content with your own, without brainstorming on content layouts. Of course, for users who want to take control of the design, there are enough customization options. WYSIWYG editor ensures you get what you see; no need to preview the content! The design interface is fully drag and drop enabled; just drag content elements like text boxes, images, slideshows, contact forms, etc., and place them where you want. The text editor offers lots of formatting options; you can give a makeover to the text styles in a jiffy. It’s possible to edit placeholder text for dynamic fields, like name and address. Add contact and survey forms where you like. GoDaddy doesn’t give you HTML and CSS access, so you’re limited to using the core theme you get. Switching themes is a pain, because you will need to re-add your entire content. So, experiment well before you finalize a theme. You’d see a small GoDaddy advertisement in the footer of your website; worry not, this can be turned off from the settings. We won’t call it the best, but GoDaddy gets the job done in terms of website design. GoDaddy wins hands down when you compare the top website builders on the parameter of customer support. Phone support, live chat, and email based ticketing system – there are 3 options for you to choose. Customer support representatives can be reached in anything between 5 to 10 minutes when you call, which means you’re covered when stuck with tech problems that demand immediate resolution. If you have time, you can raise a ticket via email, and GoDaddy responds within 15 odd hours. GoDaddy offers phone support with all its plans, which is awesome, unlike other website builders that add phone support only for high end plans. GoDaddy enables troubleshooting and learning via its Support Portal, a repository of helpful content and guides to solve common problems and use GoDaddy features to their fullest potential. Support Portal comes with a search box to help you quickly find what you’re looking for. You can submit comments and queries under any topic. For regular troubleshooting, you can trust Support Portal to help you resolve issues, so you won’t even need to reach out to customer support. The quality of the Support Portal and the highly responsive customer support teams ensure you don’t miss any official community portal, though there are 3rd party discussion forums. GoDaddy’s mobile website creation capabilities are moderate, honestly. For starters, it’s super convenient for users, because their desktop websites are converted into mobile friendly versions automatically by GoDaddy. On the flipside, the mobile avatars are not as grand and impressive as the desktop versions. An interesting feature offered by GoDaddy is that you can control which content elements you want to hide on your mobile website (for instance, you might want to switch that image slideshow sidebar off on the mobile version). 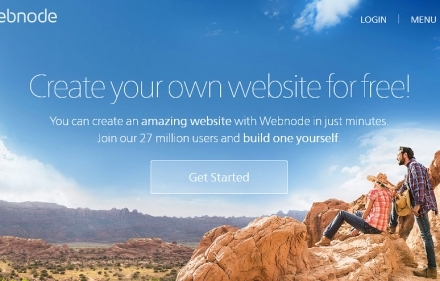 No other website builders offer this control. Ease of use and user friendliness are at the core of everything in GoDaddy. The website design interface is the perfect example. You get a sidebar at the left, from where you can simply drag the content element of your choice and drop it anywhere on the template screen. All editing options are housed right inside this toolbar, so no hunting around in multiple menus to find what you need. 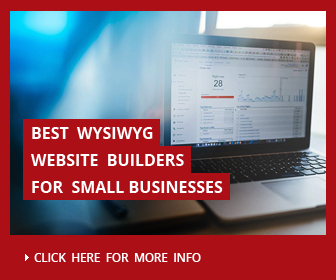 It’s a pure WYSIWYG builder, which reduces the need of fine tuning for website aesthetics once you’re done with the design. GoDaddy is about quickly creating a good looking website, so it doesn’t offer a lot of bells and whistles, and hence, the learning curve is naturally easy to navigate. Using the Preview mode, you can get a clear idea of how your website will look on desktops and mobile devices. The Preview mode also allows you to sync the website them to your Twitter or Facebook profile, though this feature is only available in Business Plus subscription plan. Almost all websites builders in the market offer the basic SEO functionality of adding title and page description. GoDaddy is no different and provides you the bare essentials. Where it scores above competition is with its paid SEO service, very reasonably priced for per month subscription. With this service, you can leverage several SEO automation and advanced tools, such as one click site submission to major search engines, keyword research and topics suggestions, addition of Rich Snippets, actionable keyword analytics and SEO progress reports, among others. With this inexpensive SEO service at your disposal, you can improve organic traffic and search engine result page ranking without spending your valuable time in SEO. One of the most important benefits of using a premium website builder is the ease with which your web hosting and site security concerns are addressed. GoDaddy offers you free hosting in the GoDaddy domain. Alternatively, you can use a domain name you’ve registered. GoDaddy takes care of all the technicalities of handling website hosting issues, and lets you concentrate on what you do best. Also, GoDaddy is responsible for keeping the websites secure, and does so by regularly upgrading its system security. GoDaddy offers a highly beneficial option in the form of multiple backup versions of your website, so that you can revert to a stable state when the need arises. This can be a real face saver in dire situations. In the flipside, GoDaddy does not have an Export option. So, if sometime in the future, you decide to switch to another website builder, you’ll need to start the website creation afresh. This limitation is because of the drag and drop styled website creation technology used by GoDaddy, which creates unique designs that are not supported by other core web design platforms. Apart from the design aspects, you’d ideally want to evaluate a website builder on the additional features it provides. Here’s a quick look at what GoDaddy has in store. All GoDaddy plans grant you a free domain registration. Even if you have an existing registration, you can make it point to GoDaddy. 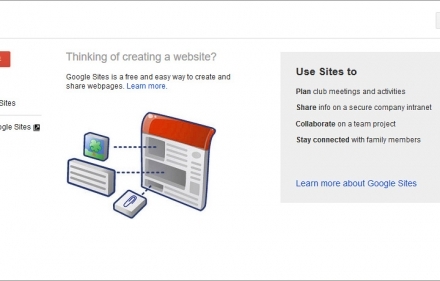 GoDaddy offers useful widgets such as Facebook Share, YouTube videos, and Google Maps. With GoDaddy, you can create navigation menus with three levels. Example – Computer peripherals > speakers > Bluetooth speakers. Blogging is limited to mere integration of an external blog feed from platforms such as Blogger and WordPress. 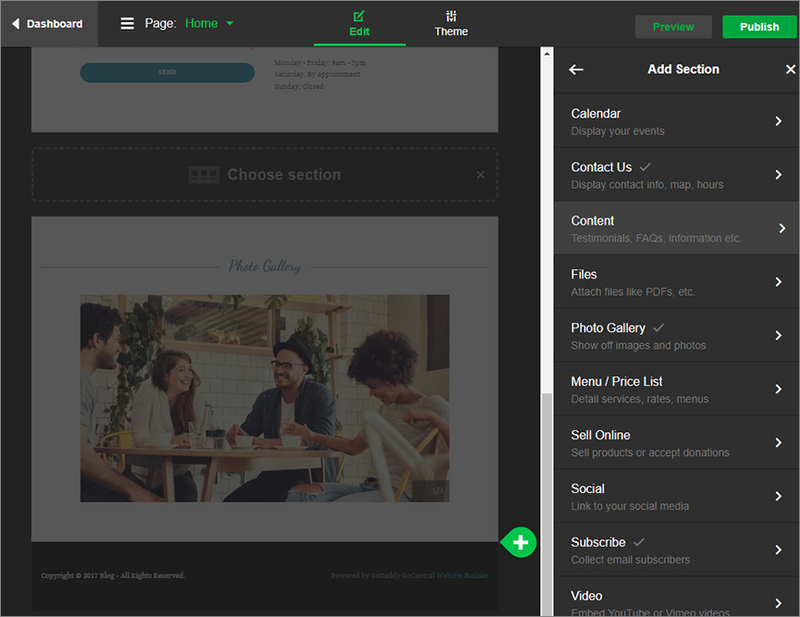 GoDaddy offers a feature rich image editor integrated with the website builder, allowing you to enhance your images, or enrich any of GoDaddy’s royalty free images on offer. GoDaddy provides different kinds of contact forms, such as mailing list, registration, contact form, appointment form, and quote. If you’re using GoDaddy to create a website for your business, you can add the Yelp widget, and showcase information such as user ratings and reviews from your business’ Yelp profile. Consider adding Google Analytics widget to your GoDaddy empowered website, because it doesn’t offer an integrated analytics service. On the whole, GoDaddy offers you the basic tools and options you need to create and manage a website. But if you need a website that’s supposed to be competing with the best in the market, the features will seem limited. GoDaddy differs from other website builders in terms of the pricing and plans it offers. There are no free or trial subscription plan; you can choose from the three options – Personal, Business, and Business Plus. You get unlimited web page creation with all these plans. The bandwidth and storage space granted to you increases with each plan. GoDaddy delivers more value to you by including one year business email service from Office 365, and by giving you free domain registration for one year. The Business and Business Plus plans come with mobile website option, and you get the SEO wizard facility only with the Business Plus plan. In fact, the Business Plus annual plan is the best value plan, because it gives you a one click social media manager and SSL certificate for one year. All these factors make the Business Plus plan a better proposition than similar plans from other website builders. 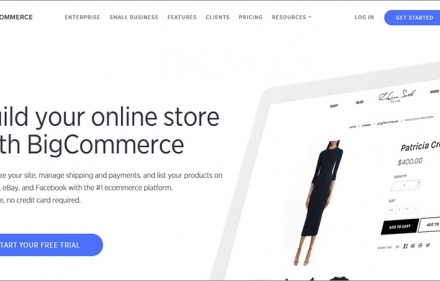 A key point to note is that you need to pay for GoDaddy e-commerce store builder separately, as no website builder plan delivers e-commerce features. GoDaddy tries to eliminate your financial risk with its good faith 45 days money back option for annual plans, and 48 hours money back for monthly subscription plans. For Whom Does GoDaddy Fit the Bill? GoDaddy’s web templates catalog is expansive, with a lot of options appropriate for website in niches such as sports, news, fashion, technology, politics, photography, food, etc. Artists can create web portfolios pretty easily using GoDaddy. Anybody looking for a decent website to create online presence can trust GoDaddy to satisfy their requirements. The best part is – you have tech support within quick reach, because of GoDaddy’s benchmark standard customer support. This makes GoDaddy a suitable option for people who don’t want to spend too much time on website enhancements. However, if your website will be primarily accessed on smartphones, you might want to think again, because the mobile website version created by GoDaddy lacks the sophistication of desktop website layouts. GoDaddy gets a lot right, especially for beginners. Simplicity is the forte of everything GoDaddy does, and this holds well for the website creator too. The template selection is a great start, particularly because there are so many options. The drag and drop enabled WYSIWYG builder makes website design a breezy affair. The critical question of SEO is sorted out for you courtesy the SEO wizard paid option. You’ll never have to spend a minute on concerns such as website hosting, security, etc. The multiple backup and restore keeps you at peace in terms of your website’s disaster recovery preparedness. Above all, the industry benchmark customer support is what makes GoDaddy the website builder of choice for so many. The focus on simplicity, of course, comes at the cost of functionality, at least on some fronts. 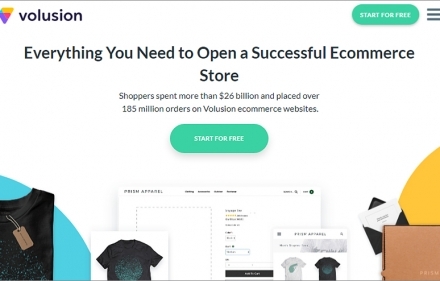 For instance, customizations to templates are limited, there are no spectacular website management features such as integrated blogging, and your website can’t double up as an online store should you want to sell some products. Most importantly, switching templates is a lain, and you can’t export your GoDaddy website to another builder or platform. So, for people looking to create market leading websites for their niches, GoDaddy tends to fall short. On the other side, it’s a marvellous, simple, intuitive, and user friendly tool for beginners who value ease over everything. Yes. We can recommend GoDaddy website builder for creating small websites for small business. First of all website builder from GoDaddy will be suitable for novice users since it's user friendly and very easy to use. Perhaps it's not so functional as other popular website builder but its ease, intuitive interface as well as great support via phone, tickets or email - all this will be attractive for many beginning webmasters.